Install the crankshaft bearing clips, oil bearing clips. 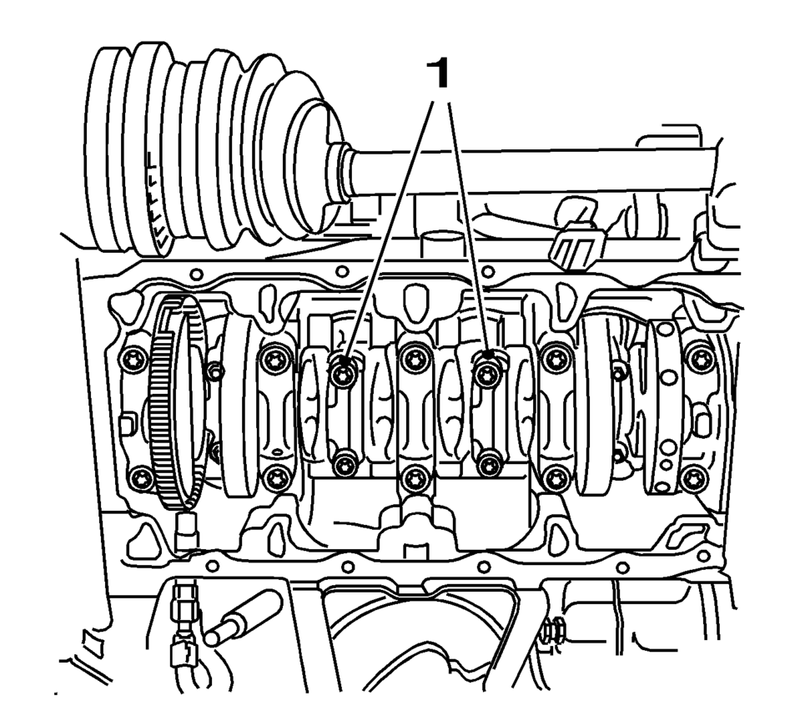 Install the crankshaft bearing caps 1-4. Install the 8 NEW crankshaft bearing cap bolts. Install the crankshaft bearing cap. 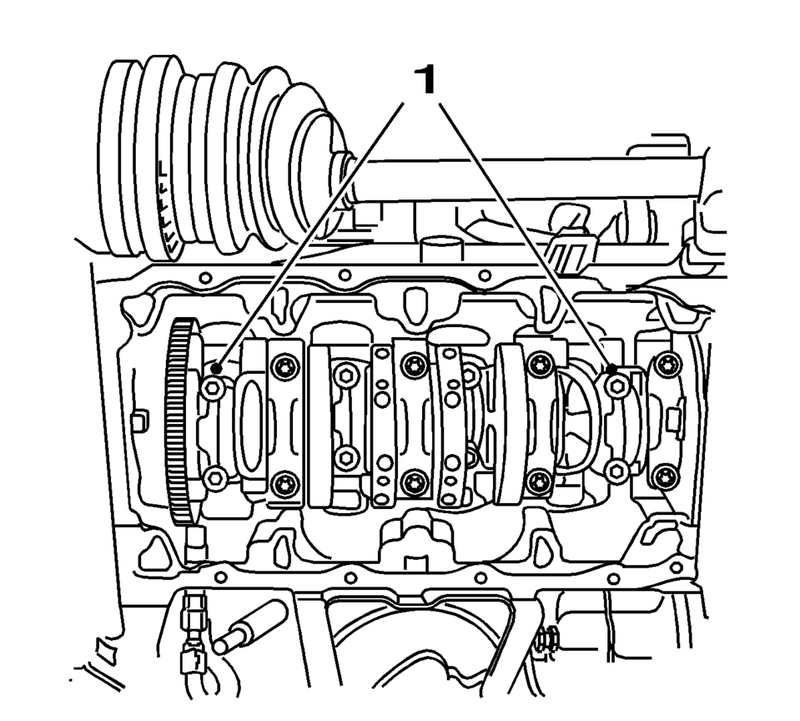 Apply black adhesive sealing compound to the grooves of the rear crankshaft bearing cap. Install the 2 NEW crankshaft bearing cap bolts. 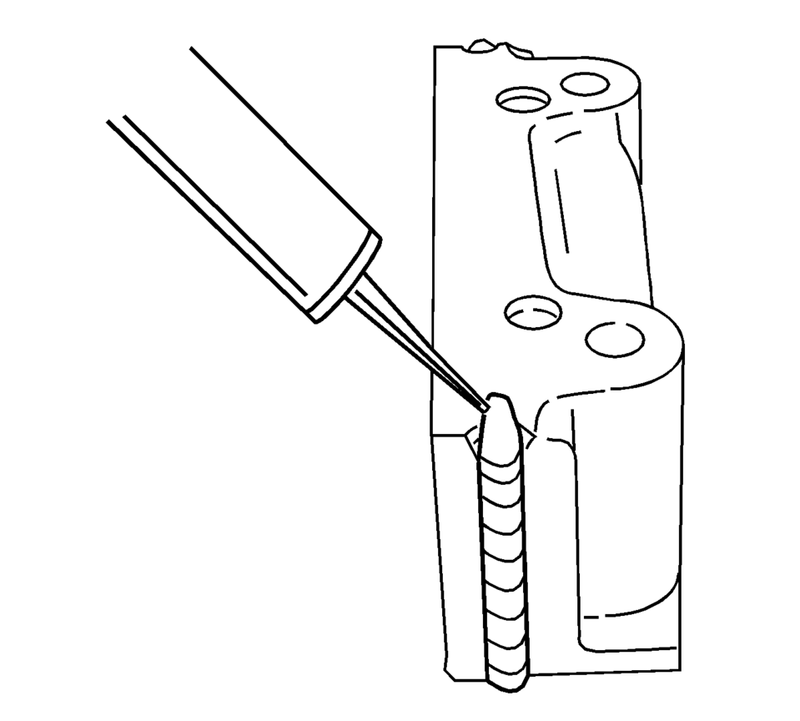 Install the connecting rod bearing caps 2 and 3 (1) and oil the bearing clips. 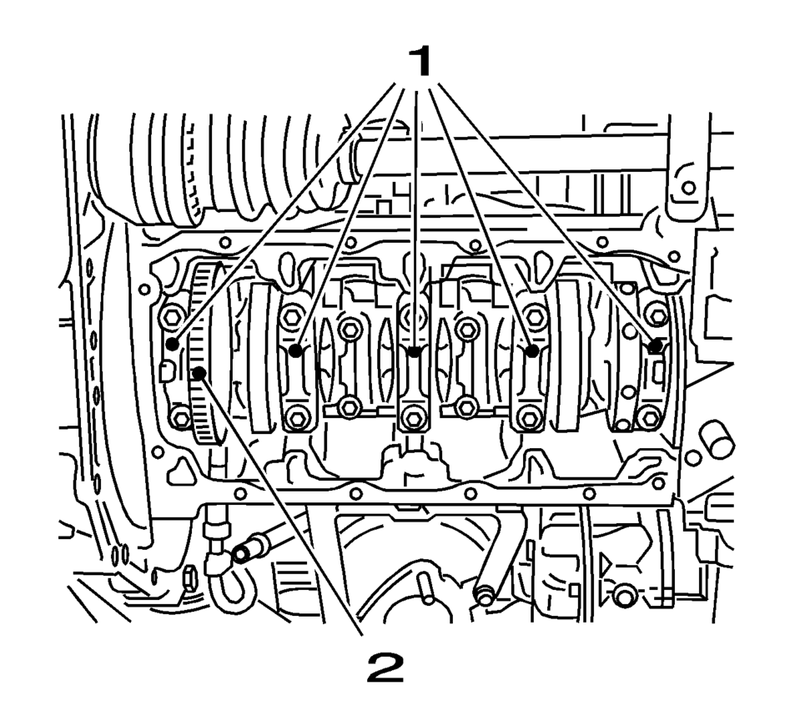 Install the connecting rod bearing caps 1 and 4 (1) and oil the bearing clips.